* Many elderly properties also allow people with disabilities regardless of age. Elderly/Senior is defined further in each property description. ** Family properties also include individuals, senior and disabled applicants. The Bliss School Apartments is a combination of historic rehabilitation and new construction. The original Bliss School, constructed in 1909 has been carefully restored into 10 one and two bedroom apartments. The rear addition, built in 1920 and severely damaged due to water infiltration, has been demolished. In it’s place a new 30 unit structure containing two and three bedroom apartments have been joined to the original school building. The Bliss School closed over 20 years ago and has remained dormant ever since. 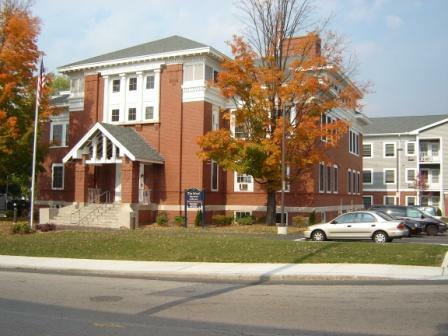 Located in a mostly residential neighborhood, Bliss School Apartments has been developed to provide residents in the Attleboro area an affordable rental option. The unique floor plans allow for affordability without sacrificing space, livability, or quality of life. The location is ideal for the proposed housing use as the hospital, churches, city hall, library, schools, social services, shopping, banking, and public transportation are all within walking distance. The Attleboro MBTA commuter rail station is located less than half a mile from Bliss School, making it an easy walk for our residents. Stewart Property Management, Inc. is a full service management company located in Bedford, NH. 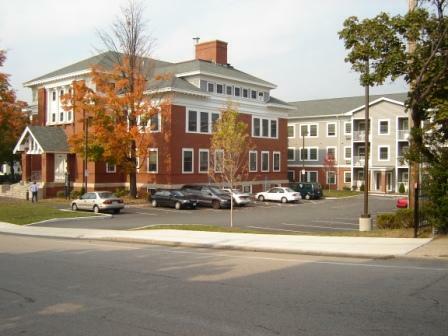 We manage affordable housing in New Hampshire, Vermont, Maine and Massachusetts. We currently manage over 110 properties located in these states. © 2014 Stewart Property Management & LTD Company. All Rights Reserved.